Step 1. Download iReparo for Android installation file to your computer. Step 2. Double-click the .exe or .pkg file you downloaded. Step 3. Follow the onscreen instruction to complete the installation. Step 1. From the Start menu, select Start >Control Panel. Step 2. 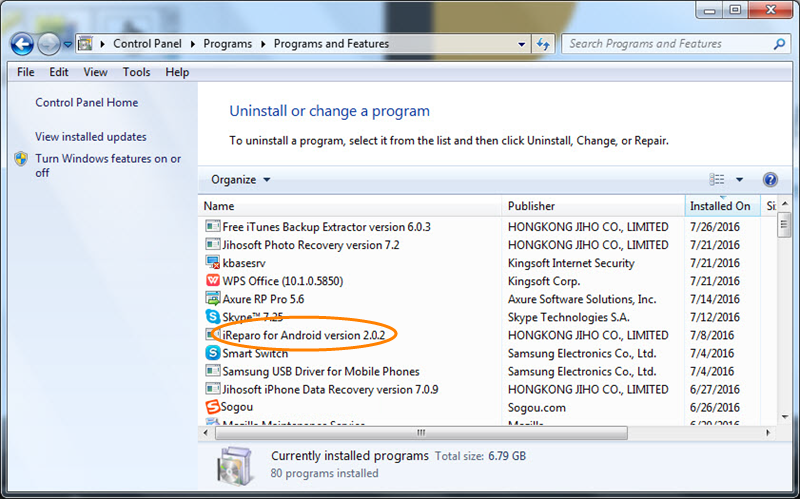 Go to the Program tab and click Uninstall a program. Step 3. 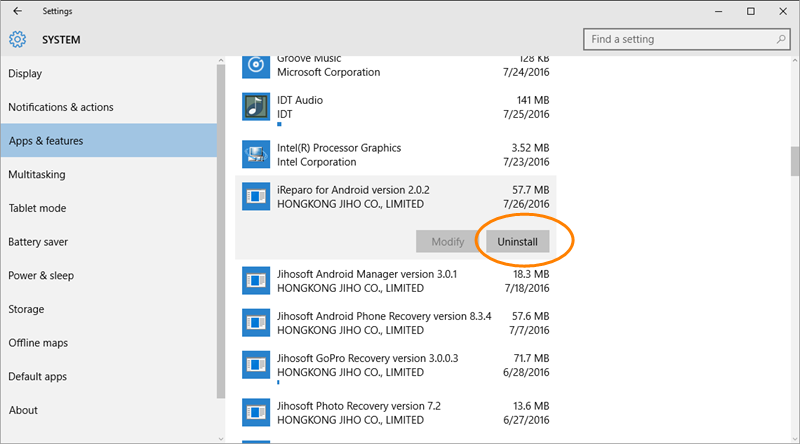 Select iReparo for Android from the list and click Uninstall. Step 1. From the start menu, select Settings >System. Step 2. Click Apps & features. Step 3. Find and click iReparo for Android, then click Uninstall. Step 2. Drag-and-drop iReparo for Android icon to the Trash.